The largest CRISPR action study to date has developed a method for predicting the exact mutations that the CRISPR-Cas9 gene editing can introduce into a cell. Wellcome Sanger Institute researchers published 40,000 different pieces of DNA and analyzed one billion DNA sequences obtained to reveal the effects of gene editing and develop a predictive tool for learning outcomes. This will help researchers using CRISPR-Cas9 to study disease mechanisms and drug targets. 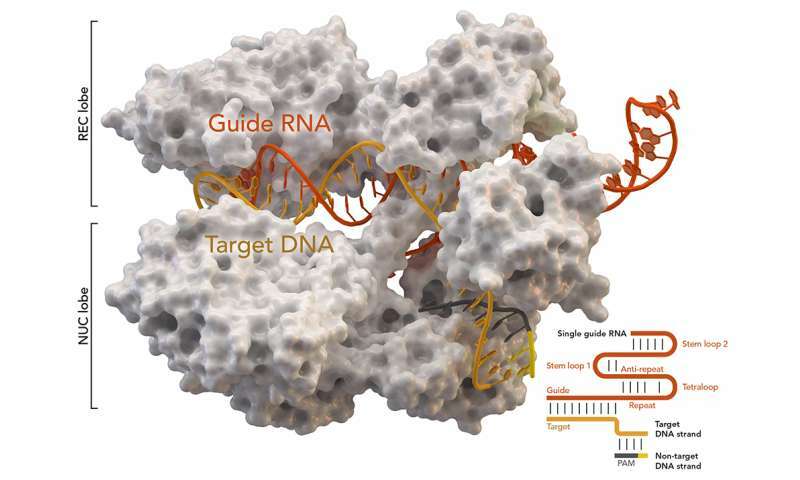 Posted today in Nature Biotechnologythe new resource will allow scientists to predict the best sequences to target to make gene editing CRISPR-Cas9 more reliable, and therefore less expensive and more efficient. CRISPR-Cas9 is a gene editing technology that allows researchers to cut DNA at any position in the genome, to create mutations and to disable specific genes. Scientists around the world are using this vital technology to study genes that are important for a variety of diseases, from cancer to rare diseases. Therapeutic trials are underway to correct the harmful gene mutations. 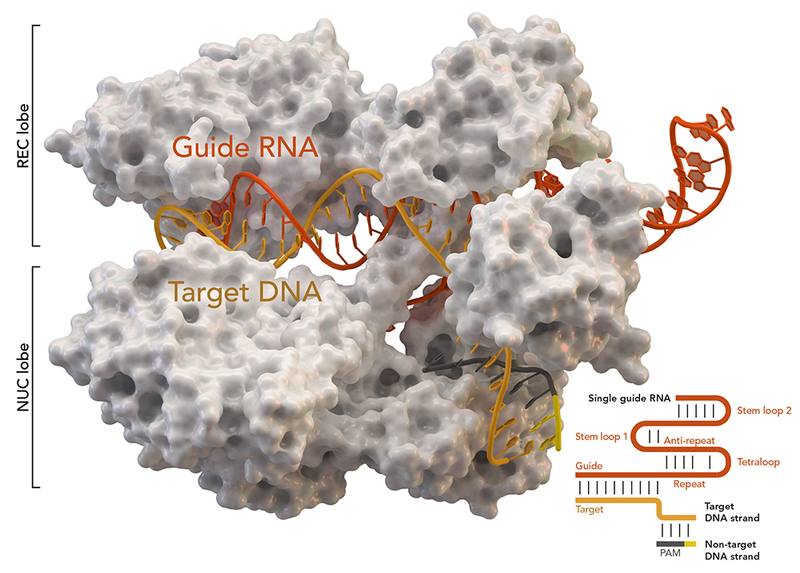 A specific guide RNA binds to an exact sequence of target DNA, guiding the "scissors" Cas9 to cut the DNA at the right place. However, it is difficult to predict exactly what the final mutations will be, since new changes often occur when the cell repairs the rupture, thus joining the two cut ends of the DNA. To investigate this, the researchers created more than 40,000 pairs of different target DNAs and RNAs and performed the CRISPR-Cas9 gene editing. By deep sequencing each pair into different cells, they were able to analyze in detail how the DNA had been cut and joined. They discovered that the repair depended on the exact sequence of the DNA and the guide and found that it was reproducible in the same sequence. The researchers then used the huge amount of sequence data to create a computerized calculation tool, which created general rules for determining the result of the repair. This program, called FORECasT, allowed them to predict the repaired sequence, using only the targeted DNA sequence. Luca Crepaldi, co-author of the Wellcome Sanger Institute study, said: "We have conducted the largest and most comprehensive study of CRISPR-Cas9 actions to date, and analyzed over one billion d We have demonstrated that specific target sequences were repaired by the cell in the same way, which proves that the action of cellular mechanisms is reproducible. " Dr. Felicity Allen, co-author of the Wellcome Sanger Institute, said: "The discovery of reproducible DNA repair after the CRISPR-Cas9 edition, combined with the large amount of sequence data generated, has enabled us to create a learning methods tool that can be used by our resource to predict the exact mutations resulting from CRISPR-Cas9 gene editing from the target DNA sequence, saving time and money resources for future CRISPR-Cas9 applications – editing genes to study health and disease. " Dr. Léopold Parts, lead author of the Wellcome Sanger Institute, said: "CRISPR-Cas9 is an extremely important system for the introduction of DNA mutations for research and future treatment. enable scientists to better understand how it works, and our transformation method allows users to predict the effects of each edition of CRISPR-Cas9 in a cell, allowing better design of editing experiments and future therapeutic applications. . "